When you have a foot or ankle fracture, you don’t need to travel out of town to receive high-quality treatment. Dr. Dustin Hubbard and Dr. Ralph Dixon have extensive training and experience treating foot and ankle injuries, from a broken toe to the most complex foot and ankle fractures. You can receive exceptional surgical and noninvasive treatments at Fairbanks Foot and Ankle in Fairbanks, Alaska. To learn more about their foot and ankle fracture services, or to schedule a prompt appointment for a fracture, call the office or book an appointment online. What are the most common causes of ankle fractures? Ankle fractures can occur in any of the three bones that make up your ankle joint: the ankle bone (talus) and the ends of your two leg bones (tibia and fibula) where they meet the ankle bone. You’re most likely to fracture your ankle due to a sports injury or high-energy trauma such as a fall from a high place. 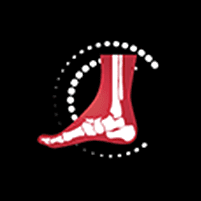 The talus bone lies between your foot and leg, where it’s crucial for ankle movement. As a result, a fracture usually causes loss of motion, and surgery is often needed to ensure it heals properly. What are the most common foot fractures? The most common foot fractures occur in the toes and forefoot. They’re typically caused by a blow to your foot, such as kicking a hard object. Bones in your toes and forefoot are also vulnerable to stress fractures from overuse, especially if you engage in high-impact sports. Lisfranc fractures commonly occur when a heavy object falls on top of your foot. You may also suffer a midfoot fracture while playing contact sports. Your heel is very hard on the outside but contains spongy bone on the inside. It takes significant force to fracture the outside bone, but once it’s broken, extensive damage occurs as the spongy bone collapses. The fifth metatarsal is the long bone that connects to your little toe and runs along the outside of your foot. It’s susceptible to avulsion fractures and Jones fractures. How are foot and ankle fractures treated? Although the location, type, and severity of your foot or ankle fracture determine your treatment, one thing is certain: immobilization is needed to give the bones time to heal correctly. Several options are available for immobilization. A few examples include taping your toes or using a walking boot or cast. When the bone is displaced, or you fracture multiple bones, surgery is often necessary to realign the bone, repair soft tissues, and stabilize the bones with plates and screws, if needed. When you have fracture symptoms — pain, swelling, bruising, or inability to bear weight — call Fairbanks Foot and Ankle, or click the “request appointment” button to book online.